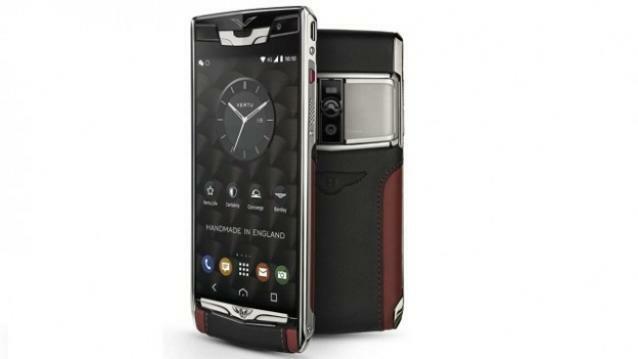 Vertu and Bentley has jointly launched yet another phone validating their 5 year partnership. Although the new Signature Touch is a second-gen version of the original one, it comes with the full set of Vertu’s luxuries. The smartphone in spotlight sports a Sapphire crystal screen and a 5.2 inch full HD display, which Vertu claims to be the most vibrant one than that of its all other models. It is powered by a 64-bit Octa-core Qualcomm Snapdragon 810 processor and 4GB of RAM. The in-built storage lives up to the premium standard at 64 GB. Given the hardware specs, the 3160mAh battery may disappoint a little. The rear and front cameras are 21 megapixel and 2.2 megapixel respectively. If the high end hardware specs don’t justify the $9000 price tag for you, the personalized looks may. The phone comes in two-tone Beluga and Hotspur Bentley leather, with Hotspur stitches which can be customized under Vertu’s ‘Made to Order’ scheme offering eight leather colors and sixteen stitches to choose from. The phone has knurled keys on its side, a sound bar, a unique pillow rail and an eye-catching 3D Bentley logo. The Android 5.0.2 integrated smartphone comes preloaded with a wide range of Vertu’s special features including Dedicated Concierge as well as Vertu LIFE and Vertu CERTAINTY. Bentley has contributed a ‘Unique Bentley App’ too. The phone also holds a Lost Phone app that is designed to retrieve the device if stolen. Aside from the seamless user interface, the New Signature is expected to excel at the multimedia ground as well with its Dolby® Digital Plus virtual surround sound.